Once the research data was collected the full ALS team gathered several times to review the data. We looked for patterns, for themes, for similarities and differences across the three countries. 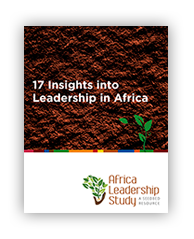 Initially we were able to agree on “17 Insights Into Leadership in Africa” which is available below. Additional infographics below give an overview of certain themes. In order to better understand certain strategically important topics, individuals have done extensive in-depth work which is available in our book. The book and the website are designed to compliment each other, giving access to background, data, analysis and additional resources. Details on book topics and authors are available by clicking the green button below the testimonial. “How does this study of Christian leadership in Africa differ from others?” Unlike other documents on the topic, African Christian Leadership: Realities, Opportunities, and Impact is the result of many years of solid, qualitative and quantitative research conducted in three countries across a wide range of denominations and ethnicities. 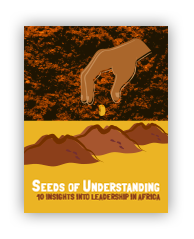 This feature alone sets the book apart from others and it is the basis for important new contributions to understanding the realities of Christian leadership in contemporary African societies. 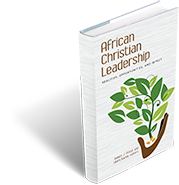 While many emphasize the need for more and better-prepared leaders for African churches, few have reflected on the nature of Christian leadership itself. 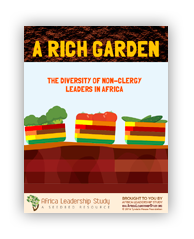 Fewer still are those who have written on the qualities needed in African Christian leaders. I commend the authors of the study and the agency that funded it for research designed, conducted and reported on in a coherent and collaborative manner. It is my earnest hope that the overall approach taken in the research and in writing the book would stimulate similar undertakings in the years to come. 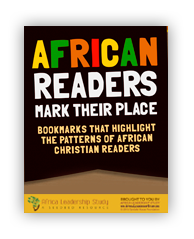 You will find here many treasures as you read about and further explore African Christian leadership.